The path of Mahamudra is one of the most direct ways to realize the nature of our being. Emphasizing contemplative practices based on meditations our perception is transformed so that we can experience ourselves according to our true nature, ever present within us but covered by emotional and cognitive veils that distort it. We will follow this profound and famous text by one of the greatest masters of Tibetan Buddhism, that presents the whole path from our present situation to the final realization of our immaculate essence, our Buddha nature. 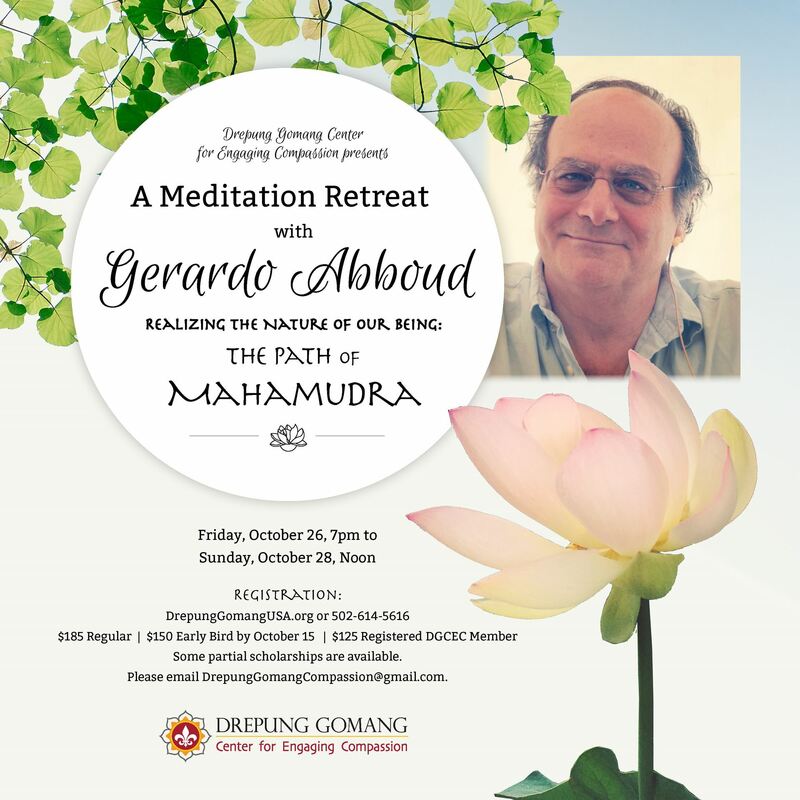 Gerardo Abboud, Spanish translator for His Holiness the Dalai Lama in South America since 1992, is a respected dharma author in English and Spanish, and is president and teacher of the Dongyuling Center in Argentina.